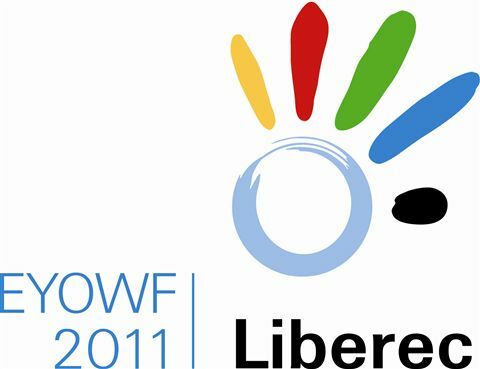 On November 26th, 2007, the Liberec Region announced a competition for art school students to design the logo of the 10th European Youth Olympic Winter Festival Liberec 2011. The committee in charge selected four best designs, which were afterwards introduced to public. This group of best designs consisted of projects by Jana Jirásková (Arts High School in Liberec); Alžběta Slámová and Veronika Vysloužilová (both from the Applied Arts School and College in Jablonec nad Nisou); and Romana Ždímalová (Arts High School in Liberec). These artists proceeded into the semi-final; their task then was to finish their design drafts into various versions: colour; black and white; with and without text; and both small and large. Consequently, all logos were placed on the Internet pages of the Liberec Region for public vote, which took place from February 21st to March 23rd. The public determined the 3rd and 4th positions; the winner from the remaining two logos, which gained most votes, was selected by a committee. The winner was announced at the meeting of council representatives of the Liberec Region on April 29th, 2008. 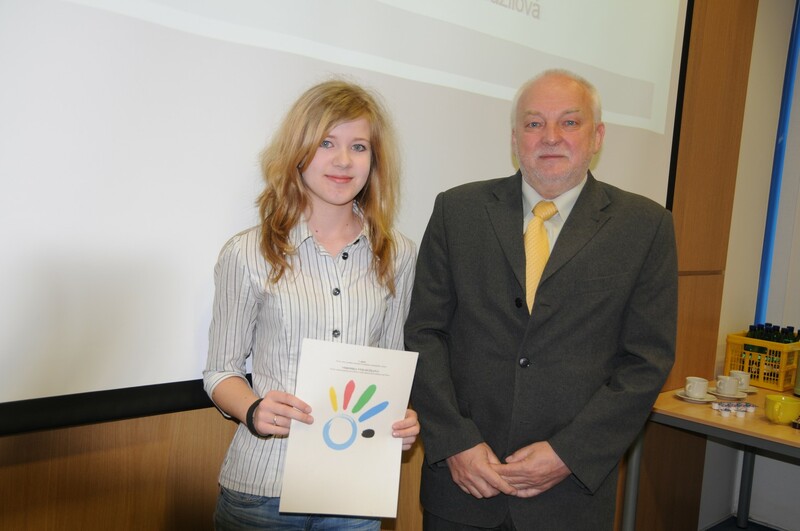 The creator of the winning logo is Veronika Vysloužilová, studying at the Applied Arts School and College in Jablonec nad Nisou. Petr Doležal, Vice-president of teh Region, with winner artist.